Product prices and availability are accurate as of 2019-04-17 08:01:27 EDT and are subject to change. Any price and availability information displayed on http://www.amazon.com/ at the time of purchase will apply to the purchase of this product. Optimize audio experience as per your listening levels with Odyssey Platinum suite of room acoustic correction software that includes Odyssey Mule XT32, dynamic volume and AVR Odyssey which analyzes each speaker installed in your home and adjusts the volume levels, frequency and time response according to speaker-to-listener distance and calibrates them to best suit your listening preference. With no disruptive jumps or sudden blasts, get a fully balanced sound at all times. 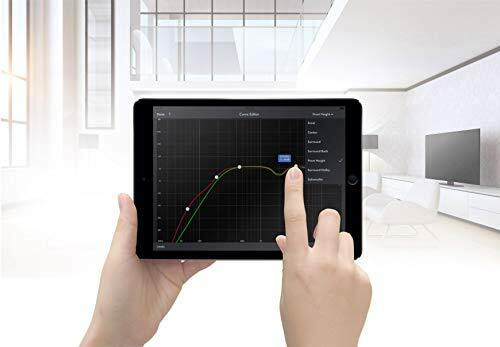 Get all controls on your smartphone - download the Marantz 2016 AVR remote app on your Android/iOS phone, connect it to the same internet connection as your receiver and it's ready for use. 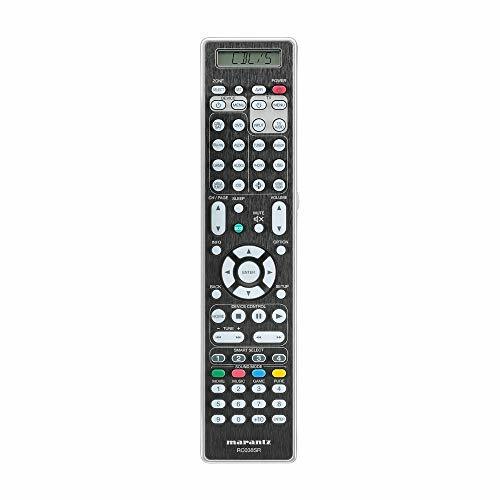 It's super convenient and easy, you can even go without a remote control! The multi-room, multi-source feature lets you play different sources in different room without any interruptions. Now you can watch a movie in one room while another family member listens to music in the other room. 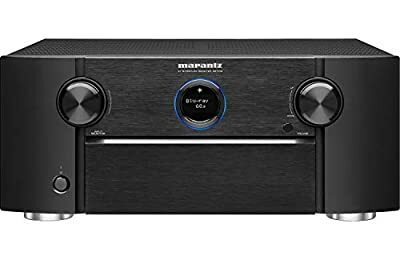 Marantz receivers' Ability to decode high resolution loss (MP3, WMA, AAC) and lossless (FLAC, ALAC, WAV) lets you enjoy uninterrupted gapless playback (FLAC/ WAV/ ALAC) with no delays or lags. The receiver also features Direct stream digital, or DSD 2. 8MHz and 5. 6MHz tracks (32-bit AKM D/A converter) that reproduce music exactly as the artist intended. Marantz' One of the most talked about feature, the HD AM (Hyper dynamic amplifier module) technology provides ultra-fast slew rate and true Wideband performance which results in super-quick transition from input to output giving the most optimum yet powerful, detailed and dynamic sound quality. Make the most of your Ultra HD TV investment with the Marantz SR7013. Drive exceptional Visual clarity with full-rate pass-through, SD/HD video upscaling to ultra HD, 4: 4: 4 pure color sub-sampling, HDR10, BT.2020, 3D, 21: 9 video, Dolby vision, HLG & eARC (enhanced audio Return Channel) that supports the transmission of 3D Audio from your TV apps with a single HDMI connection for the simplest setup. Choose your favorite voice control agent - Alexa, Google assistant, Apple Siri or josh.Ai smart home - to effortlessly play, pause and stop music, switch inputs & more while you stream unlimited music or videos using popular services like Spotify, tune in, Deezer, Napster, Tidal, Netflix, prime and others via Bluetooth, airplay 2, or HEOS app across one room, or multiple rooms with built-in wireless HEOS multi-room Audio technology. Compliment Premium video with the ultimate Cinematic Audio experience with 125W per channel High performance power and the latest object-based Audio formats - auro-3d, Imax enhanced, Dolby Atmos, DTS: x and DTS Virtual: x giving you the greatest flexibility in your home theater setup. Choose from a standard 9.2 or 7.1.2 Home theater system in the living room, a 5.1.4 3D system with Dolby Atmos Elevation speakers, or extend to 3 rooms with 5.1 (zone 1), 2.1 (zone 2 & zone 3) for a virtually heightened realism effect. Our easy-to-understand and user-friendly setup assistant comes with an advanced graphical user interface that guides you through the step-by-step process and connects all your audio sources to the receiver - the main hub of your home theater! Moreover, Marantz receivers seamlessly integrate with smart home automation systems like josh.Ai or control 4, and allow remote monitoring of connected devices, while you are vacationing or are on the move! 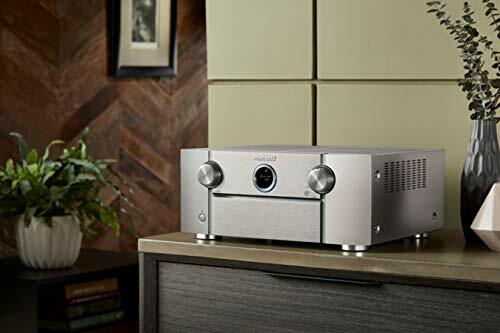 60 years of innovation and Marantz' Rich history of designing Audio components for its premium range of home entertainment systems has been wonderfully embraced by music lovers and home Cinema enthusiasts worldwide. 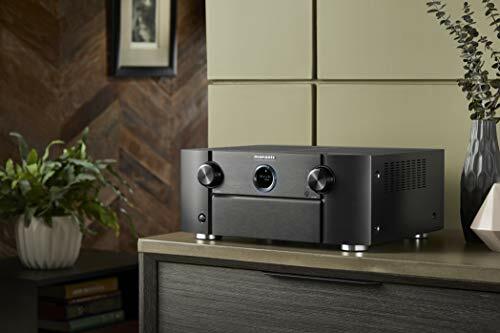 Continuing its tradition of delivering exceptional stereo listening, Marantz hand-picks and custom-designs its high grade components and their exclusive HDAM technology makes all the difference in the world of Audio, giving you the best home theater experience ever imagined.